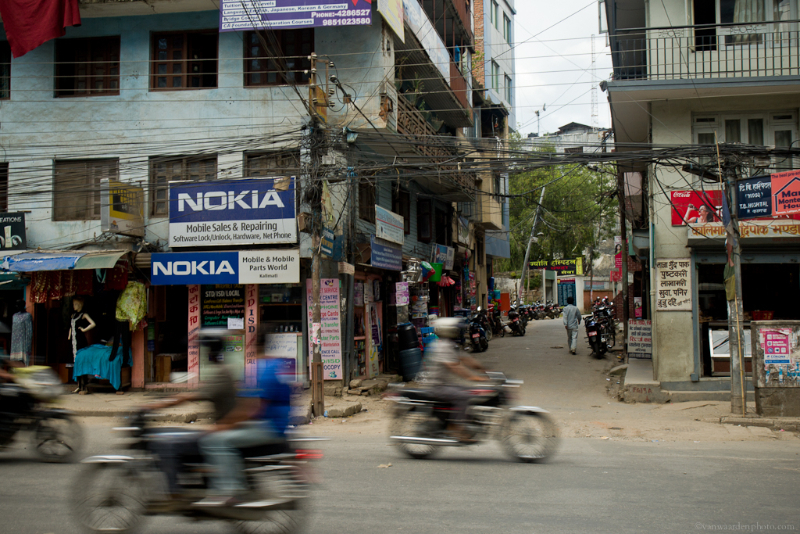 Kathmandu is in the midst of an energy crisis. The Himalayas provide ample opportunity to tap hydro resources, but current supply is insufficient for the entire electrical needs of the city and in winter, when the reservoirs are low or landslides fill the reservoirs, hydro capacity is compromised. The government is now using diesel generators to make up the energy shortage, a system that can only be seen as a short-term solution at best. 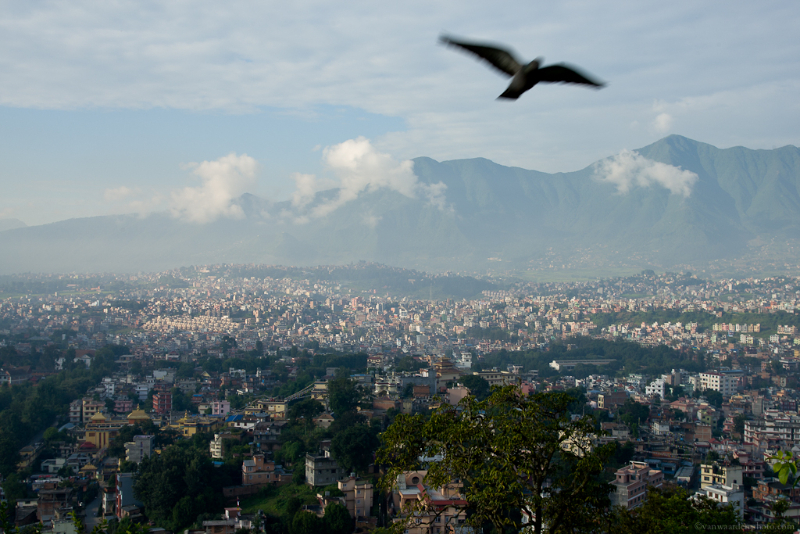 Amrit dreams one day of seeing turbines on the hills surrounding the Kathmandu valley. 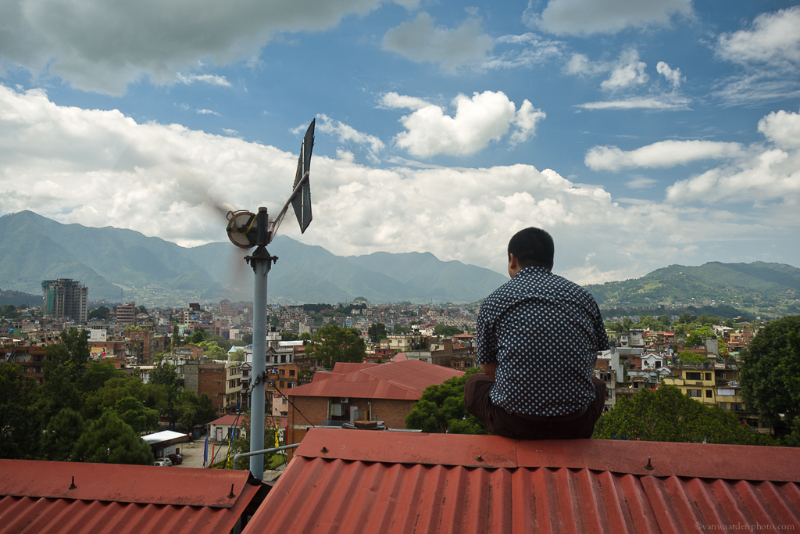 He believes that wind energy is the solution to the energy crisis in Nepal. His calculations show that it is feasible and he cites the build time difference between wind and hydro as an additional plus. Amrit isn’t only dreaming, he is a busy man. He works with the government and the Alternative Energy Promotion Center (AEPC) to identify sites for small-scale renewable energy development and then determines the feasibility of scaling that up to a commercial level. 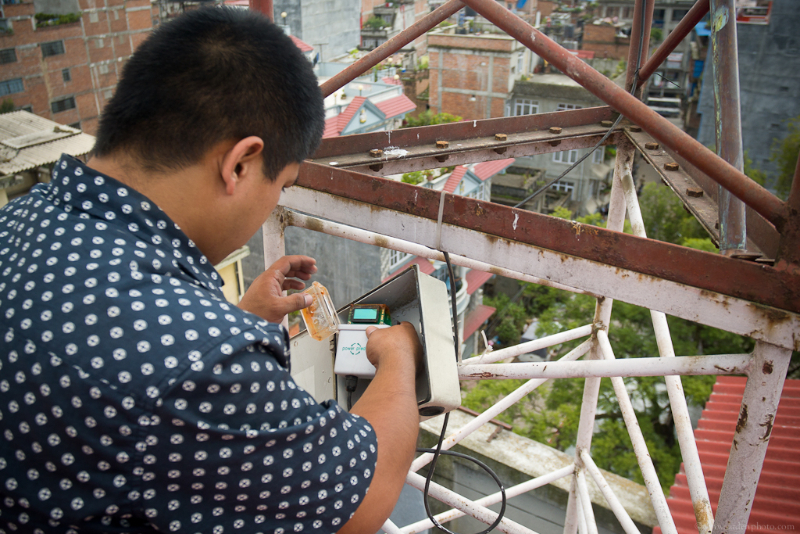 He is also busy with studies in the Mustang District, an area of Nepal with exceptional wind speeds and potential. As Amrit and I climb down from the roof, his story reminds me that one person can make a difference. If he has his way, this energetic young man’s vision and passion for wind could be the difference for Nepal’s energy problem.